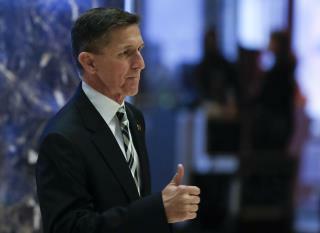 (Newser) – Is former National Security Adviser Michael Flynn now cooperating with Robert Mueller's special investigation? Sources tell the AP and the New York Times that Flynn's legal team has informed Trump's lawyers that they can no longer discuss the investigation with them, a move that suggests Flynn is now either working with prosecutors or trying to negotiate a deal. Information-sharing deals like the one between the Flynn and Trump legal teams usually need to be terminated if one party begins negotiating with prosecutors or a similar conflict of interest develops, the Washington Post notes. Flynn has been a major figure in Mueller's investigation of alleged Russian election interference. Mueller Making America Great Again MMAGA.